Welcome to our global CASM community! 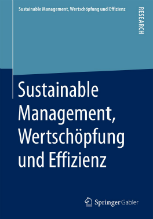 nine month to go until The 8th International Conference on Sustainability and Responsibility on “Responsible Leadership on Times of Transformation” takes place in Cologne, Germany from November 14th till 16th this year! If you want to know how you can get involved click on the following link. We are looking forward to your contributions! For further information and constant updates visit our website. We are excited to announce our scientific committee for the conference as well as the conference venue! 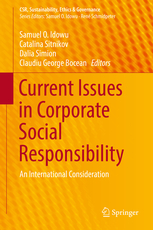 Besides, we want to invite you to take a look at our latest publications! Lastly, we want to introduce our new research assistant and team member, Haden Cosman. The 8th International Conference on Sustainability and Responsibility with this years theme of “Responsible Leadership on Times of Transformation” is a 3-day conference featuring advice from experts on leading people towards responsible leadership in times of transformation and high-level sessions on new and innovative sustainability approaches. 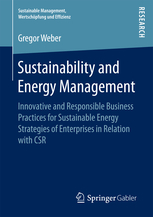 The Conference is organized by the Center for Advanced Sustainable Management (CASM) at Cologne Business School in collaboration with Humboldt-University Berlin, HSBA and many other national and international partners from academia, business and society. As “a platform for multi-stakeholder dialogue”, the CSR-conference series has attained a remarkable degree of international relevance. 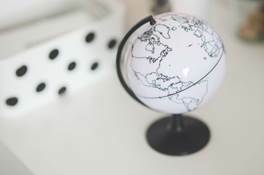 Leading academics, executives, policy makers, activists and educators from around the globe are actively involved to form a global alliance dedicated to rethinking and integrating value issues into management practice, education and development. 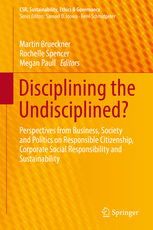 We invite proposals for papers, panels, and workshops, or alternative forms of engagement on a wide range of topics related to responsible leadership. Additionally, we look forward to receiving proposals that focus on topics which affect all fields of the social sciences, not just business and economics. Submissions will start by the 5th of March and end on the the 30th of April 2018. 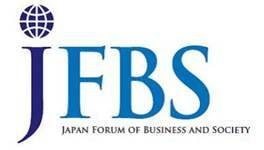 For further information see the following LINK or check out our HOMEPAGE for the latest news. We would love to see you there! Also, we warmly welcome your contribution! 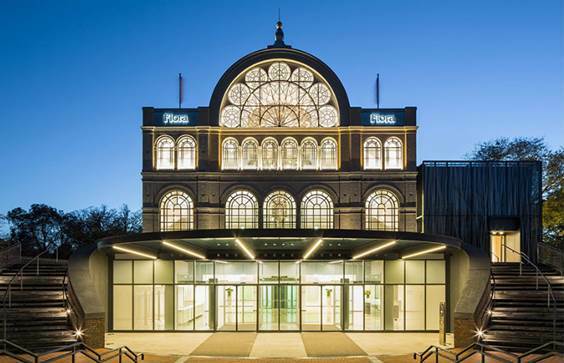 We are excited to announce this year’s conference venue! 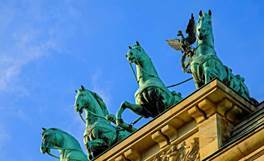 The 8th International Conference on Sustainability and Responsibility will take place at the Flora in Cologne (Germany). The historic building at the center of the botanic gardens in Cologne was built in 1864 by Max Nohl. Since it’s big reopening in 2014 the venue is mainly used for high level national and international conferences, concerts and social events. Scientific Committee for The 8th International Conference on Sustainability and Responsibility confirmed! We are proud to announce the scientific committee of our 8th International Conference on Sustainability and Responsibility! The following leading academics are going to be involved: Carol Adams (Durham University Business School, Swinburne Business School), Archie B. Carroll (University of Georgia, USA), Norman de Paula Arruda Filho (ISAE Brazilian Business School), Bhaskar Chatterjee, Edward Freeman (University of Virginia), Elisabeth Fröhlich (Cologne Business School), Haifeng Huang (Peking University HSBC Business School), Samuel O Idowu (London Metropolitan University), Sarah Jastram (Hamburg School of Business Administration), Danica Purg (IEDC-Bled School of Management), René Schmidpeter (Cologne Business School), Joachim Schwalbach (Humboldt University of Berlin), Martin Brueckner (Murdoch University), Arnold Smit (University of Stellenbosch Business School), Kanji Tanimoto (Waseda University), Teng-Tsai Tu (National Taipei University), Sandra Waddock (Boston College). Further members are to be confirmed. 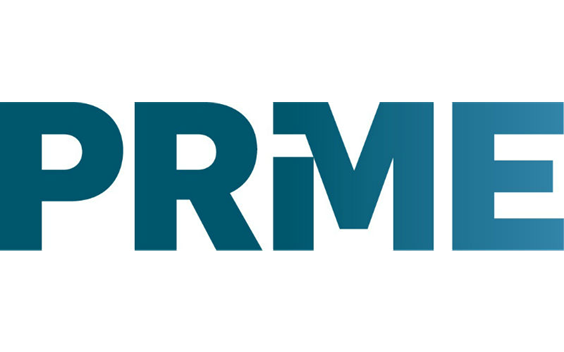 PRME Regional Chapter DACH has the pleasure of inviting you to attend and contribute to the conference on “Leadership Development for Advancing the Implementation of the Sustainable Development Goals” that will be co-organized by PRME Secretariat, PRME Anti-poverty Working Group, and the Center for Advanced Sustainable Management at Cologne Business School (CBS), Cologne, Germany, which will host the event. The goal of the conference is to discuss how research and the management education community, in collaboration with businesses, policy makers, NGOs, youth, media, and other stakeholders can best support the ongoing flagship initiatives of UN Global Compact and PRME that focus on responsible leadership development for advancing the implementation of the Sustainable Development Goals (SDGs). We invite you to contribute to the event by proposing the conference topics and sessions. Germany, January 16th: What is life going to look like in 2030? Which challenges lie ahead? And how can the Sustainable Development Goals (SDG) help in addressing these issues? 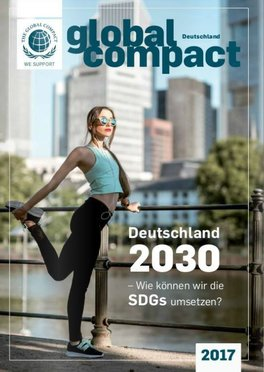 These questions are addressed by the recent publication of Macando publishing “Global Compact Germany 2017”. Key actors from business, politics, academia and civil society share their opinion and possible future scenarios are discussed. 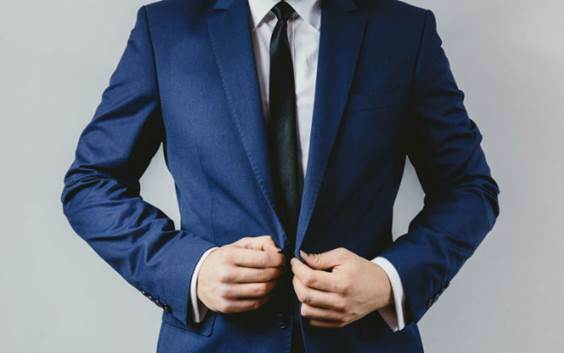 In addition, twenty-nine Global Compact member companies introduce their best-practice approach on how to implement the SDG’s in their daily business. 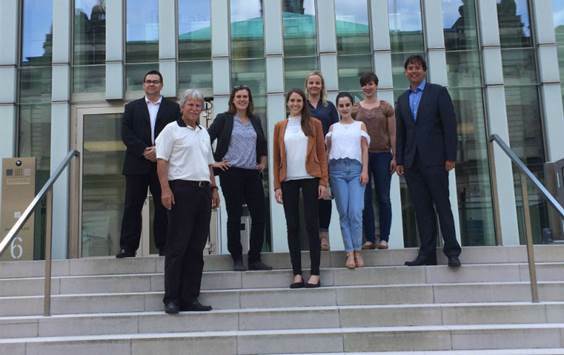 CASM and the Cologne Business School participated as stakeholder. Join in and win a #generationE Postcard box with your quote! Upload your quote on how to enhance the entrepreneurial spirit until March 8th, 2018 at www.generation-e.at. The best quotes will be selected by the jury of the Julius Raab Foundation and printed on postcards including the name of the winners! Every participant approved by the jury is going to get a free set of #generationE postcard boxes. We are looking forward to your contribution! Examples, details & further information at: www.generation-e.at. 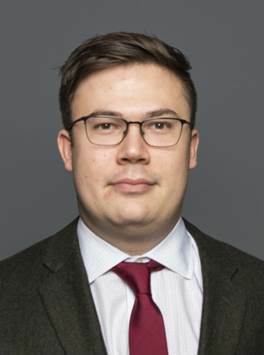 Haden Cosman is a master's student in International Business - Strategic Management and Consulting at the Cologne Business School. He completed his bachelor's in International Political Economy at Fordham University in New York, and has professional experience in the finance and consulting sectors. 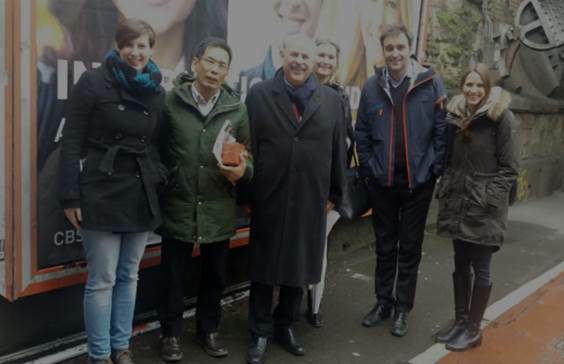 Cologne (Germany), February 2nd: Prof. Kanji Tanimoto, an expert on CSR from Waseda University (Japan) who is also currently a visiting professor for sustainable management at Cologne Business School, was invited to meet local government representatives of the office of economic development, Michael Josipovic and Thomas Stiemer, at the town hall. Michael Josipovic is the Deputy Director and Head of the International Business Development Department, while Thomas Stiemer is newly appointed Head of Science and Innovation Support Department (Office of Economic Development). In a discussion round with Prof. Dr. Lisa Fröhlich, president of the CBS, Patrick Bungard, lecturer and CASM director, and his colleagues Marina Schmitz and Anika Stürenberg Herrera, Prof. Kanji Tanimoto spoke on recent developments of the Japanese economy and of international Japanese companies located in Europe. He also pointed out a few differences in the educational system and underlined that Cologne is a great place to live, work and establish a company due to its internationalization. From 19th Feb until March 23rd, CBS students get the chance to volunteer for at least one day in a company of their choice. 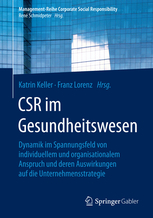 In return, the company donates a sum of about € 100 to the non-profit organization "Wunschdirwas e.V.". For more than 28 years, the charity organization has been fulfilling wishes of severely sick children and adolescents throughout Germany. CBS Students that take part receive a certificate, participating companies on the other hand do not only get the support of a student for at least one day, but will also receive a donation receipt. Thanks to the great support of numerous cooperating companies and students, CBS was able to donate more than € 87,000 to the "Wunschdirwas e.V." since 2011. 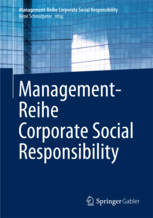 On the occasion of the Cologne Business School’s 25th anniversary in 2018, the university is going to focus on charity and social responsibility. CBS has therefore started an initiative called “CBS cares for…” which implies various activities for the benefit of society. 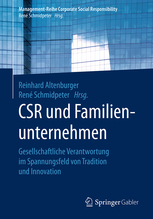 Communications with employees, Communications with consumers, Communications with suppliers, Communications with shareholders and research institutes, Communications with local societies, Communications with media organizations, SNS, General topics on Business and Society are also welcome! The Organising Committee of the 5th International Conference on CSR, Sustainability, Ethics & Governance are currently inviting submission of abstracts for oral presentations for the Conference. The Conference will take place on 27-29 June 2018 and held in Santander, Spain. 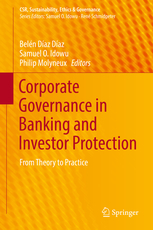 The conference is organized by Santander Financial Institute and the University of Cantabria in collaboration with the Global Corporate Governance Institute. Copyright © 2018, Center for Advanced Sustainable Management, All rights reserved. 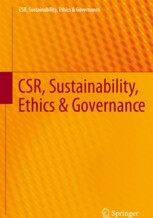 CSR is more than mere ethics. It is an innovative management approach.